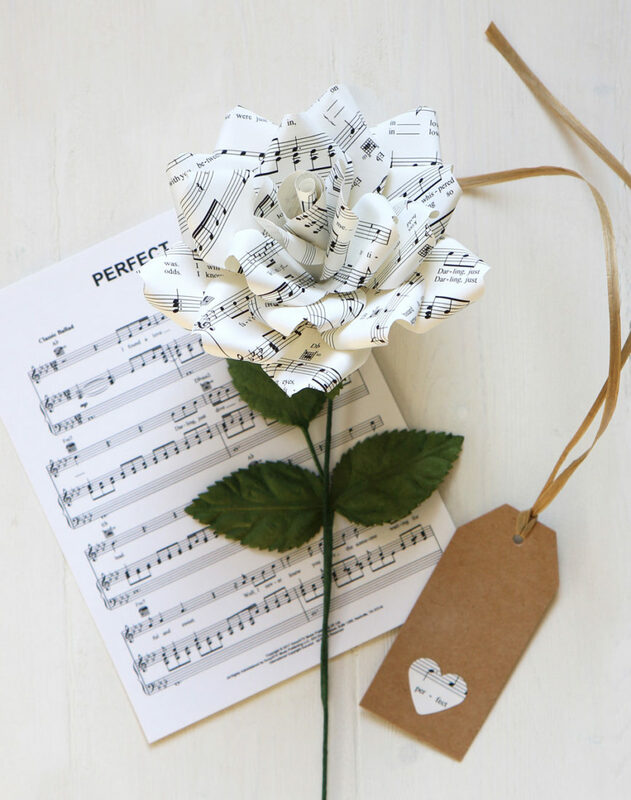 Music paper roses made from recycled paper are now available on our website. 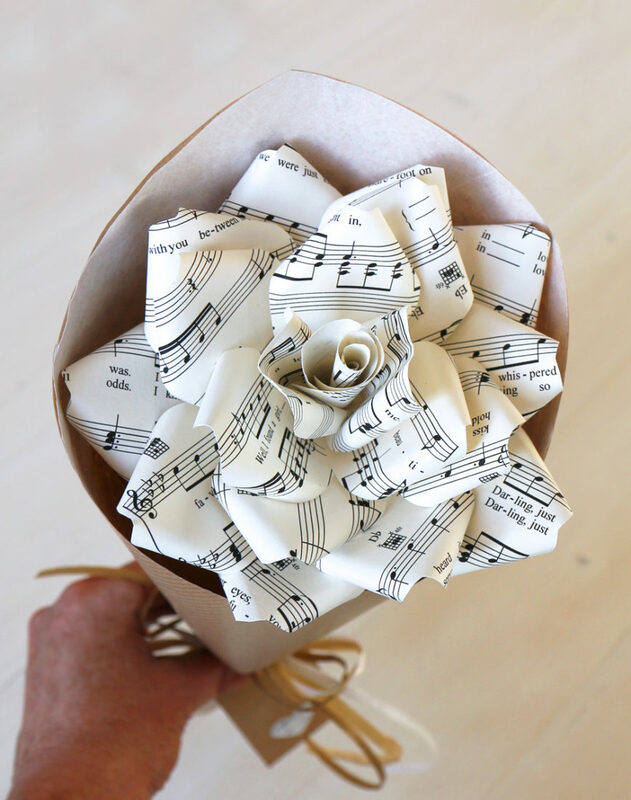 These would make a lovely paper gift for a music lover or add original décor to a special wedding or event. The roses are beautifully handcrafted in England. The roses can be personalised with your own choice of music for a special occasion or 1st (paper) anniversary. Music from a first dance is a popular choice.